Getting hacked is every blogger’s worst nightmare. 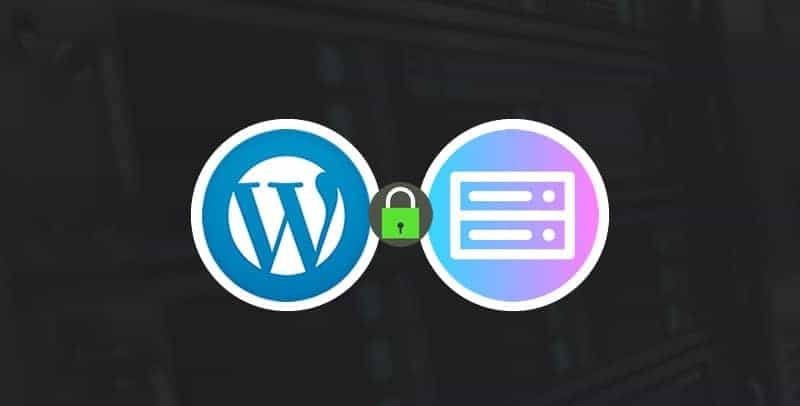 While there are many things you can do to secure your WordPress site using plugins and simple tweaks, one of the best ways to prevent security lapses is to choose a secure WordPress hosting from the beginning. Most hosts advertise something about their security as a general rule of thumb, but not all hosts are equal when it comes to securing your WordPress site. To help you find the most secure hosting for your WordPress site, I’m going to first share the specific features that go into making secure WordPress hosting. Then, I’ll recommend five hosts that do an especially great job of keeping your WordPress site safe. What Makes For A Secure WordPress Hosting? No host wants their clients’ sites to be hacked, so what differentiates a secure WordPress hosting from all the others? Basically, while all good hosts should implement basic security controls, some hosts – typically managed WordPress hosts – go above and beyond to implement extra security protocols to keep your data safe. WordPress-optimized web application firewall (WAF): A web application firewall is a set of WordPress-specific rules that can block many malicious attacks before they even happen by inspecting incoming traffic and filtering out anything bad. Malware scanning: If something does make it to your site, daily malware scans can pick it up quickly before too much damage is done. Rate limiting: Rate limiting protects your site from brute force attacks. And some hosts will even go further and ban IPs with more than a certain number of failed login attempts. Account isolation: Account isolation ensures that your sites are entirely separate from other sites. Unlike shared hosting, this means that you’ll never be in trouble just because someone else’s site got hacked. 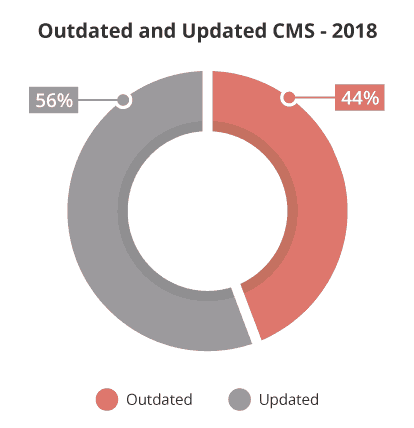 Automatic updates: According to the data, out-of-date WordPress software accounts for a huge percentage of hacked sites. Secure WordPress hosts will automatically update your software so that you’re never out-of-date. Of all the websites, Sucuri cleaned last year, 36.7% of WordPress clean up requests had an outdated version. Free HTTPS: A good secure host should offer a free SSL/TLS certificate so that your site encrypts all data between a user’s browser and your server. Latest technology: Using out-of-date technology, like PHP 5.X, opens your site up to hacks. A good, secure WordPress host should offer the latest and most secure versions of PHP and other technologies. Two-factor authentication: Using two-factor authentication for your hosting account ensures no one gets access to your site through your hosting account credentials. Hack-fix guarantee: If anything does happen to your site, most secure WordPress hosts will fix it for free. Automatic backups: While not a direct security feature, automatic up-to-date backup of your site ensures that you’ll never lose your data due to a security incident. 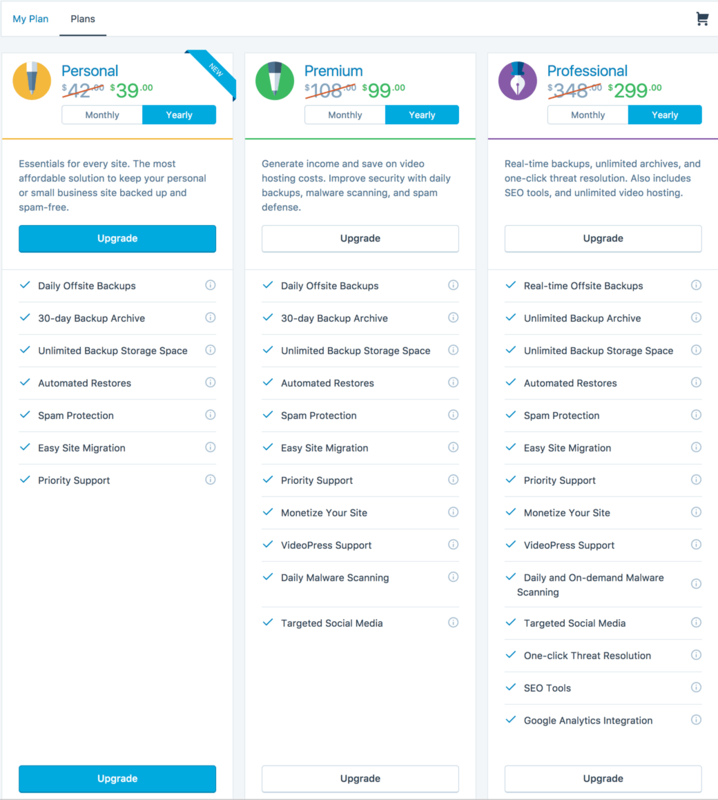 As you can see, there’s a lot that goes into secure WordPress hosting, and not every host will offer all those features. All of the following hosts offer all, or at least most, of the security features listed above. When we work online, the problem comes without knocking our door. Being a blogger from last 4 years, I know the importance of taking timely backup of my blog. As WordPress runs on a web hosting, there are many possible issues which can come with your blog, anytime. Your hosting company might shut down. Your hosting company suspects your WordPress blog for high memory usage. A hacker hacks your blog. If you lost complete data of your site, etc. I know, what I’m talking might sound like a hypothetical situation for you, but in reality, it happens to many users. The only thing which you can do to ensure your peace of mind is: Take a timely backup of your WordPress blog. Which WordPress folders you need to backup? I know, you have heard an ample amount of time about taking timely backup of your blog and must have been bombarded with multiple options for backing up. My advice: Pick any backup system, until it’s not a part of the main hosting. Try to keep a remote backup, and different from your hosting account. With your WP-content, and database file, you can restore your blog on any hosting. Additionally, you can also keep a backup of your .htaccess and Robots.txt file. I have tried many methods, and these days I’m using Jetpack to manage my multiple WordPress blogs and to take WordPress backup. Here are few other options along with Jetpack. Most of the following methods are FREE, you can use to store and create automatic backups of WordPress sites. WordPress has a wide range of plugins in its directory, the following are the best backup plugins you can use to backup your WP sites. VautlPress is a premium tool to back up your WP sites. It is a subscription-based protection, security and backup service for WordPress blogs. You can back up your content in real time (it means whenever you get a new blog comment, publish a post or update a page on your blogs, VaultPress will automatically backup those files! With over 1 million downloads, Updraftplus is the most popular WordPress backup plugin in the market. This plugin has both free & PRO versions & you can pick one according to your requirement. 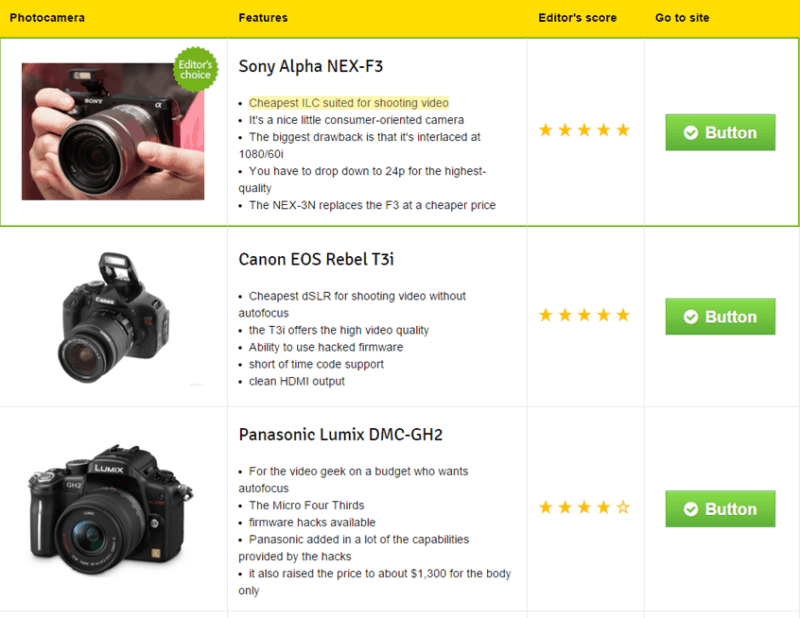 Comparison tables are a great way to help your readers pick the right product for them. They may be deciding between two or more products. Or maybe they’re deciding which type of service to purchase from you. No matter what the situation is, a visual comparison is a great way to push them towards making a purchase. Unfortunately, as effective as they are, there’s not really a good way to create comparison or pricing tables in WordPress with the WordPress Editor. You could create a table yourself using HTML…if you want to waste a lot of time. Or, you could just turn to a plugin to create good-looking tables for you. You’re in luck because I’m about to list off the best WordPress comparison table plugins and best pricing table WordPress plugins. I’ll include both premium and free options so that you can find a plugin no matter what your budget is. WP ComPEAR is a powerful premium plugin that lets you create both vertical and horizontal comparison tables. One thing that differentiates this plugin from the rest is the ability to create both static and interactive drag and drop comparisons. Visitors can choose which products they want to compare by dragging each product onto the table. In addition to that cool feature, WP ComPEAR also lets you make your tables sortable or static, change each column’s width, duplicate tables, and create unlimited tables with unlimited comparison criteria. If you need to compare products, WP ComPEAR is one of the most unique and feature-rich plugins on this list. This plugin is also compatible with EasyAzon which is most popular Amazon affiliate WordPress plugin. It’s also fairly affordable – a single site license is $15, and you can get an unlimited license for just $25. With over 400,000 active installs and an impressive 5-star rating, TablePress is one of the most popular free comparison table plugins. While not specific to comparison tables, TablePress lets you create all types of tables and insert them into posts or pages via a shortcode. You can edit your tables in an interface that looks like a spreadsheet, so you don’t need to worry about knowing how to code. Add pagination, sorting, and more. Import/export tables to Excel or .csv. Contains any data type (even formulas). Premium add-ons enable responsive design, detailed filtering, and lots more. SEO & social media go hand in hand when talking about the success of your site. No matter what kind of site you are running, you need the perfect tool which will help you with the SEO & social media aspects. One such tool is SEMrush, which has won numerous awards in the past few years & is one of the most popular SEO & SEM tools out there. I personally use SEMrush to grow and maintain WPSutra‘s search engine rankings. Today, I’m sharing an exclusive promo for SEMrush that will let you try this amazing tool for free. For the next 14 days, you can use all the features of SEMrush without any restrictions. SEMrush is ideal for performing an SEO audit of your site & also finding out what your competitors are up to. Keyword research on your competitors. 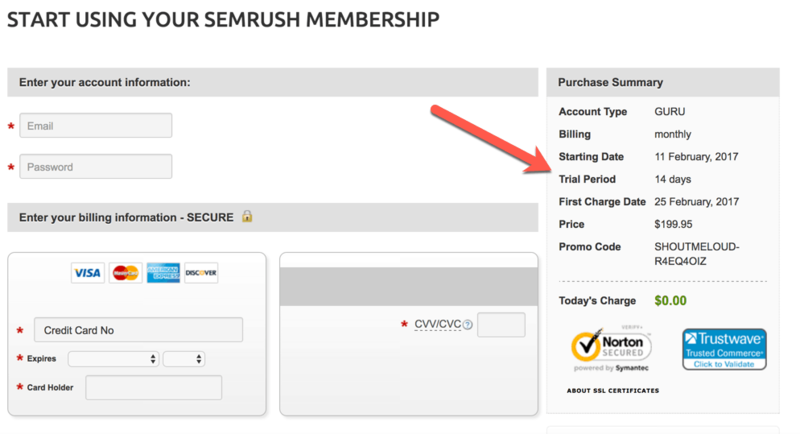 In the above screenshot, you can see the features that you will get access to once you activate your SEMrush account. Instead of making this discount post a review post, I will let you explore SEMrush on your own. There are many videos out there, including on my YouTube channel. 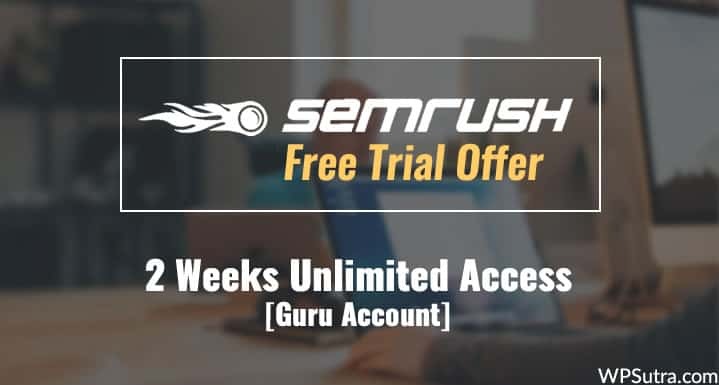 This will give you unlimited access to a SEMrush “Guru” account (which usually costs $199). Your account will be activated instantly & I suggest you do an SEO site audit first. This way, you will know all of the major SEO issues which are limiting the growth of your site. I also tried to look for a SEMrush discount coupon, but alas, they don’t offer any. The best what you can get right now is this 14-day free trial. I hope you enjoy this exclusive SEMrush free trial promo from WPSutra. Do check out our WordPress coupon & deals section for similarly irresistible deals.